Sweet, salty, and crunchy. 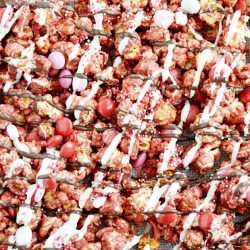 Delicious kettle corn and M&MS smothered in red velvet candy coating with white and milk chocolate drizzle. Digging back in the archives again today, y’all. 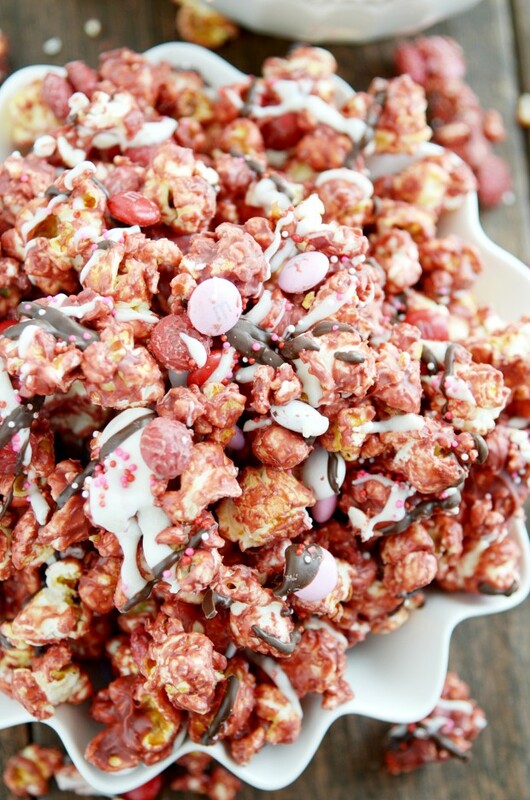 This Red Velvet Popcorn first appeared on my blog in 2012. I whisked cake mix into white chocolate, coated microwave popcorn with the stuff, and took horrible photos. Bleh. 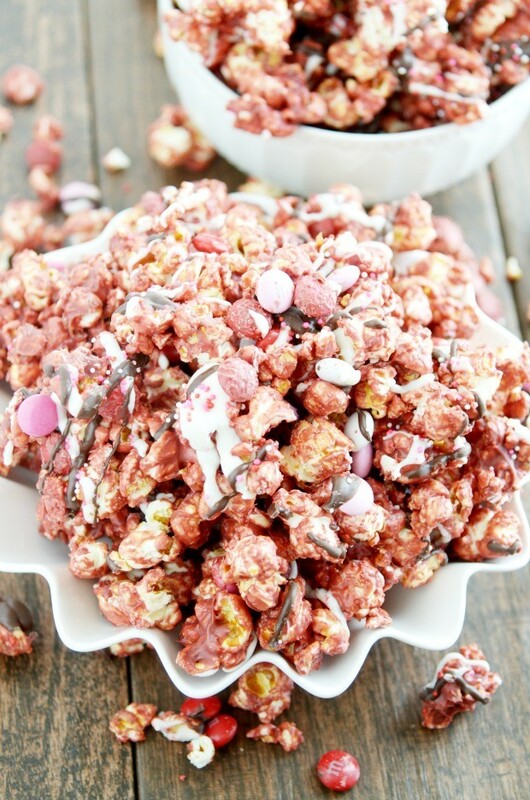 With a popcorn cookbook under my belt, I’d say I’ve officially improved a lot in the popcorn department since then, and this recipe definitely needed a makeover. I tried to work off of my original recipe with the white chocolate and cake mix, but I just wasn’t loving it. I knew it could be SO much better if I tweaked it a little. The first change I made is a popcorn swap. Instead of using microwave or air popped popcorn, I used bagged kettle corn. If you can get your hands on some of this, it really does make the best popcorn munch on the planet. 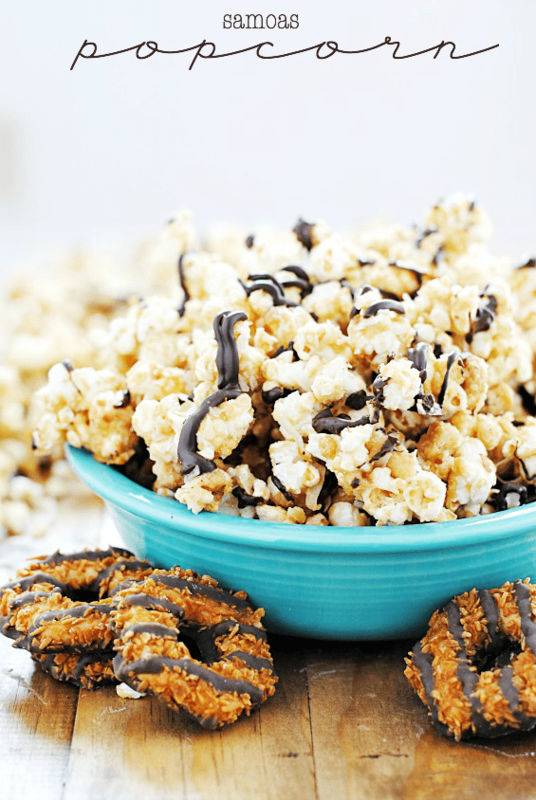 The sweet, crunchy sugar coating on kettle corn pairs so nicely with a smooth chocolate. 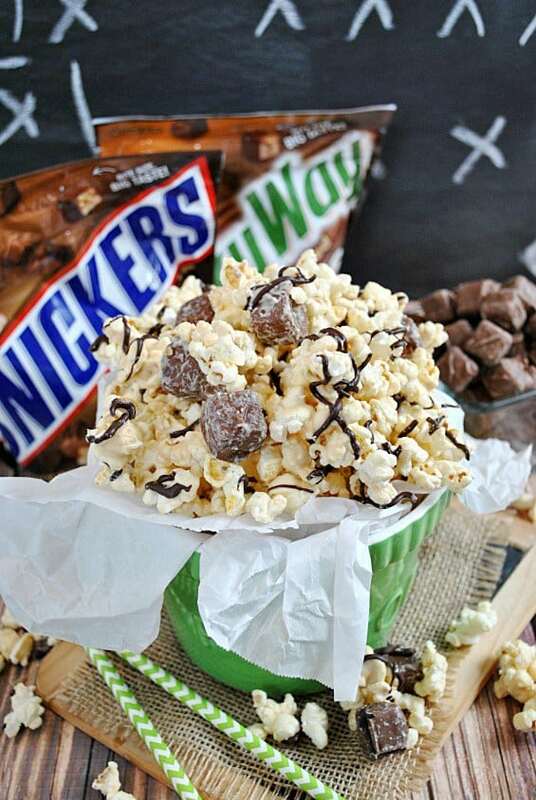 Plus, the sugary coating keeps the popcorn from getting soggy or stale from any moisture the chocolate may impart before hardening. You could, of course, make your own kettle corn. 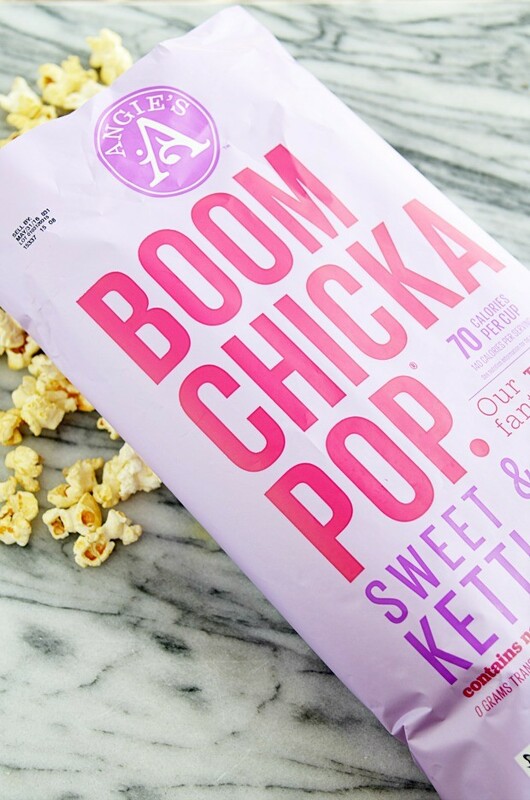 But I’ve always been happy with this bagged kettle corn from Boom Chicka Pop (found at Target) in this recipe, and it makes things so easy! 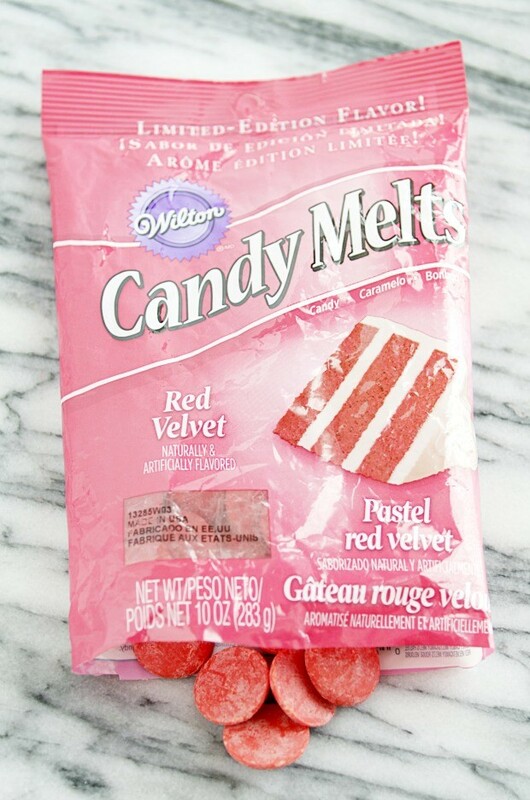 Red Velvet Candy Melts by Wilton. I found mine at Michaels, but you could also order them online. And if that’s too much of a hassle (trust me, I get it), I’ll give you a couple of alternate suggestions in the recipe box. But if you can get some, buy a couple of bags! This limited edition flavor is delicious, and I thought it was perfect over popcorn. If you’ve been around Something Swanky before, you know I love candy melts. I mean, of course I love and prefer good high quality REAL chocolate. Of course. But I also think melting candy has it’s place when it comes to making confections. Melting candy does exactly what it says it will do: MELT. It melts smoothly and easily, with very little risk of burning or seizing, even in the microwave. It cools quickly and won’t melt on your hands after it’s hardened. And it comes in lots of fun colors and flavors. While I wouldn’t pick them for chocolate chip cookies, I do think they are the best option for coating, dipping, and candy making of all sorts. I highly recommend stashing a few bags of chocolate and white to have on hand for dessert making. I love Ghirardelli Wafers, and I can usually find them at Target and Walmart by the chocolate chips. And if you’re wondering what you would use them for, here are a few ideas: this, this, this, this, and this. Ok. Back to this popcorn! So far we have kettle corn and red velvet chocolate. As if that wasn’t good enough, we’re also adding in M&MS (because, duh.) and a drizzle of white chocolate and milk chocolate. Voila! All done. 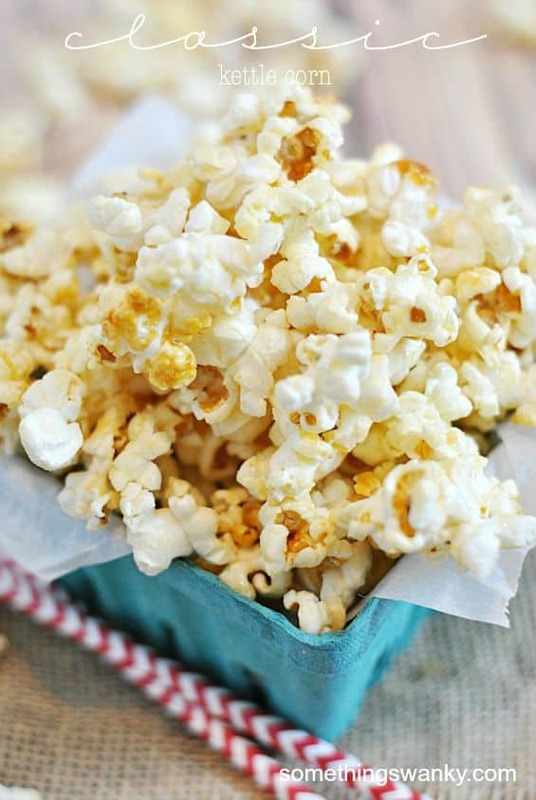 This popcorn comes completely together in less than half an hour, cooling time and all. You can package it up to give away or you can put it in a big bowl for guests! Cute, easy, and delicious all rolled up into one. Melt the red velvet candy melts in a large bowl according the the package directions. Stir until smooth. Gently fold in the popcorn. Stir until completely coated. Spread mixture on a large sheet of parchment or silicone baking mat. Melt the chocolate and white chocolate baking melts according to package directions. Drizzle over the popcorn. Allow to cool completely before breaking into pieces and serving or packaging. 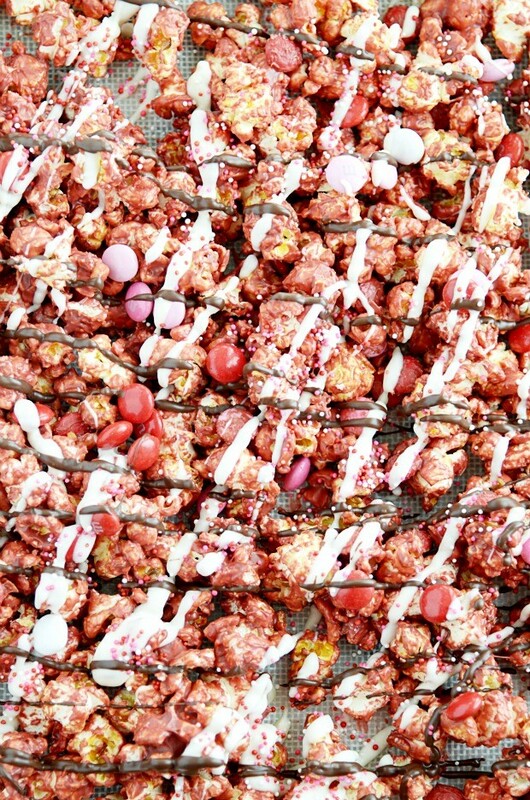 You could coat the popcorn in white chocolate and toss it in Red Velvet crumbs, like this. You could coat the popcorn in white chocolate and then give it a powdered sugar/cake mix coating, like these Red Velvet Muddy Buddies. 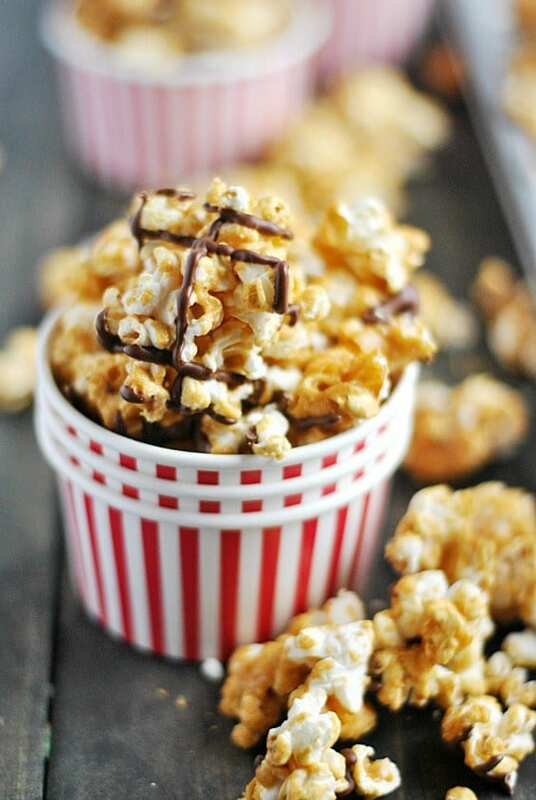 Click here for more popcorn recipes. 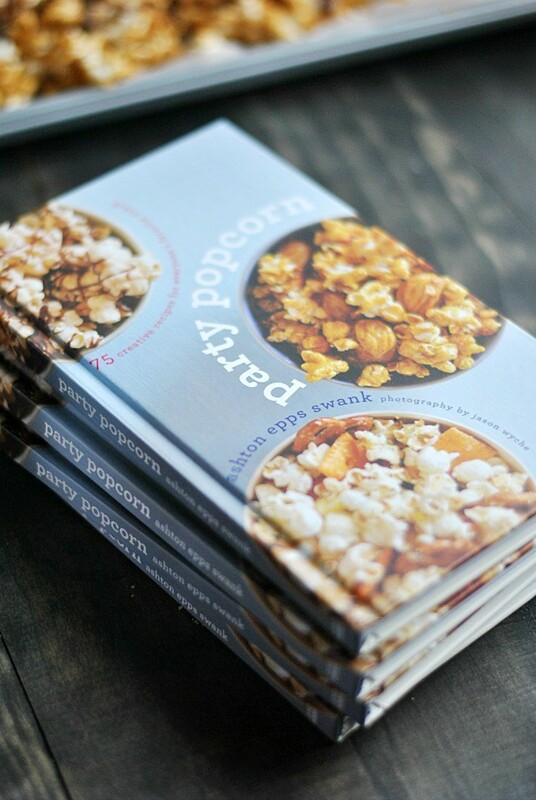 And be sure to check out my cookbook, Party Popcorn! Now this would put Popcornopolis out of business! Looks so pretty and tasty. I ahve not seem anything like thos before…briliant! And pretty too! I love your red velvet mind! Can’t wait to make this. Pinned it! I found your recipe on Sweets for a Saturday, and I am obsessed with Red Velvet (in any form). I think I have like 10-15 different recipes involving red velvet. 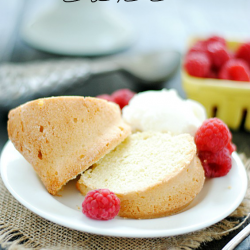 And this recipe looks delish! oh WOW! this is incredible!! Each week, three items get featured! This looks awesome, and I love your pictures! I am a new follower and I look forward to seeing what else you come up with! Girl you are a genius!!! Plain and simple:-) This sounds absolutely delish!!!!! Hi there, I want to try this recipe out but not sure what candiquick – can you please let me know what it is and where I can buy it. It’s just white chocolate. Kind of. It’s made for dipping– it hardens a lot faster and better than chocolate chips will. You can find it in pretty much every grocery store that I know of in the baking aisle. Usually pretty close to the chocolate chips. :) (You could also just use white chocolate chips– it would taste just as good, probably better– it just wouldn’t harden quite as well. This is so great! I wish I had seen it before I could have linked! Love how we both did completely different versions..love adding the dry mix, so smart!